Surrounded by fellow House Democrats, State Rep. Jon Carpenter of Gladstone discusses his tax cut bill. 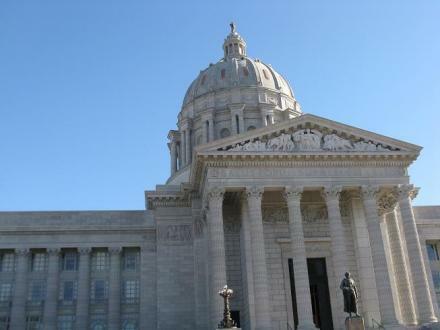 Democrats in the Missouri House unveiled on Monday their proposal to cut taxes, as Republican leaders prepare to attempt another major tax cut. Currently, the top state income tax rate in Missouri is 6 percent. The Democrats' proposal, House Bill 1328, would lower that rate to 4 percent for residents earning $30,000 a year or less. Those earning just over $30,000 up to $300,000 a year would still pay a 6 percent rate, while the rate for those earning more than $300,000 a year would rise to 8 percent. The bill is sponsored by state Rep. Jon Carpenter, D-Gladstone. "We feel that the bill will be revenue neutral or very close to it," Carpenter said. "Whereas House Bill 253 last year would cut well over 10 percent of general revenue out of the state budget, this is going to be within 1 percent (in) either direction, so we feel comfortable calling it revenue neutral." The proposal would also cap federal income tax deductions on state income tax forms but increase the size of deductions for those earning less than $15,000 a year. In response, House Speaker Tim Jones, R-Eureka, says the proposal shows that Republicans are winning the battle of ideas. "I'm very happy to see the House Democratic Caucus agree that cutting taxes will help fuel growth for our state's economy," Jones told reporters Monday. "That helps creates jobs and moves more Missourians toward prosperity." Jones declined to talk about specific provisions within the Democrats' proposal, but he did say that taxing the so-called rich often ends up harming small business owners. Last year's GOP-backed bill would have cut the personal income tax rate from 6 percent to 5.5 percent, while providing deeper cuts for corporations. It was vetoed by Gov. 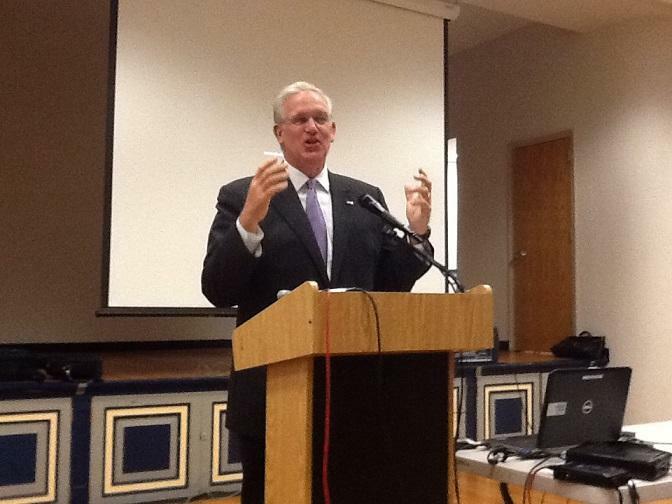 Jay Nixon, a Democrat, who then successfully campaigned against efforts to override his veto. A Kansas City lawmaker is proposing legislation next year to address the so-called "Border War" between Missouri and Kansas over businesses weighing whether to relocate or stay put. State Sen. Ryan Silvey, R-Kansas City, says his proposal would create a bilateral agreement between Kansas and Missouri, forbidding them from offering incentives to entice companies to move across the border to their opposite state. Missouri's Democratic Secretary of State is criticizing the Republican Governor of Texas for an ad campaign encouraging Missouri-based companies to relocate to the Lone Star State. In one ad, Governor Rick Perry criticizes Missouri Democratic Governor Jay Nixon's veto of House Bill 253, that would've cut income tax rates for individuals and businesses. 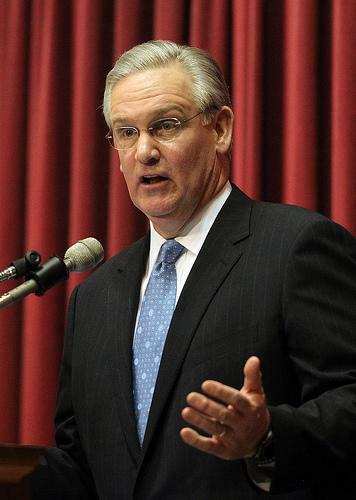 Governor Jay Nixon has launched a major public effort to support his veto last week of a bill that would have cut Missouri's individual and corporate income taxes. The Democratic Governor appeared before college and university officials Tuesday morning in Jefferson City, telling them that the GOP-backed proposal is the single greatest threat to public education he's seen in his career. Updated at 4:45 p.m. with responses from House Speaker Tim Jones (R, Eureka) and Mo. Senator Will Kraus (R, Lee's Summit). 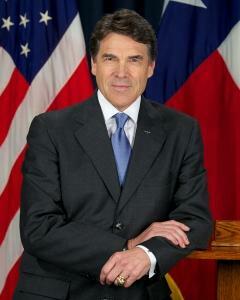 Citing a lack of "fundamental fairness," Gov. Jay Nixon has vetoed legislation that would have reduced Missouri's income tax rates for the first time in more than 90 years. The bill would have gradually reduced corporate and individual income tax rates while also creating a new deduction for business income reported on individual income taxes.